Lisa Green, 32-years old, was killed by her pit bull-mix in Upper Macungie Township. UPDATE 04/28/17: On Thursday, police responded to a call of a woman being attacked by a dog at a home in the 900 block of Spring White Drive in Upper Macungie Township. 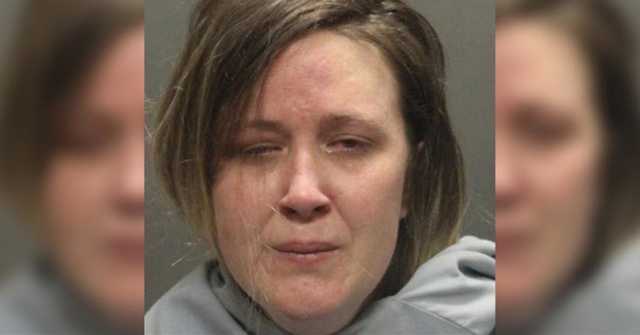 Before police arrived, several neighbors had intervened to help 32-year old Lisa Green, including an off-duty police officer that ended the attack by shooting the dog in its leg. 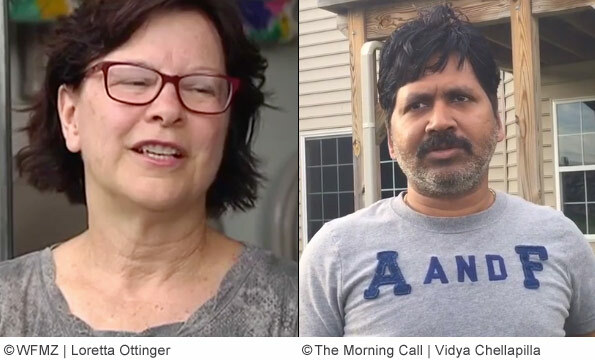 Neighbor Loretta Ottinger recounts the horrific attack in an interview with WFMZ. She said, the dog "just wouldn't stop." The video shows Ottinger and the multi-level wooden deck in the back of Green's home. Ottinger describes the hambone effort in more detail. "I had a ham in my refrigerator, I thought, bribe him with the ham so that I can get her," Ottinger explained. "So I'm dialing 911, I throw him the hambone. He doesn't take the hambone. The bone just hits him -- he's so engrossed in attacking her," she said. Ottinger yelled to Green to role over, to protect her head and neck from the dog. By that point, however, Green was unresponsive. "Her head just leaned to the side. She didn't respond," Ottinger said. Next she tried to force the dog off Green. A neighbor brought Ottinger a 1-by-2 piece of wood. White standing on the middle level of the deck, she tried to jab the dog in the face. "I tried to pierce his eyes … I hit his eye once, but then he grabbed the 1-by-2 in his mouth and it broke," she said. Then my neighbor came with a gun and shot the dog, she said. Today, The Morning Call provided more details from the off-duty police officer that shot the dog, Slatington police chief David Rachman. Neighbors stopped him while he was in his truck, he said, yelling that a dog had killed a woman. He went behind the home and saw Green lying motionless on the second-floor deck with her head, neck and face covered in blood. He then retrieved his .380-caliber handgun from his truck. The chief said the dog kept attacking her neck, so he shot it. 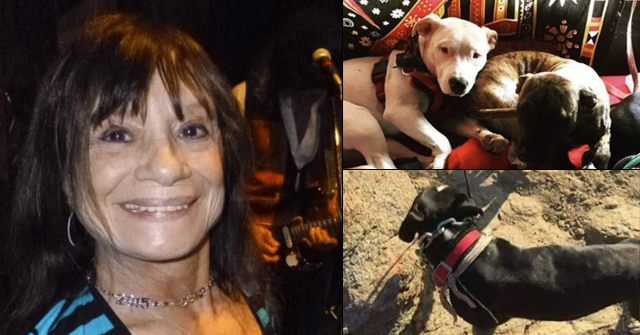 Previously, Ottinger said that Green was close with her dog, named Leon, and had owned it for two-and-a-half years. "She was really close with her dog," she said. Rachman, however, said he rarely saw the dog, which is unusual he noted. 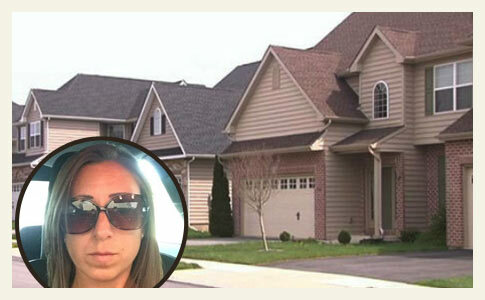 Two years earlier, Green's dog attacked another neighbor's husky, Rachman said. As to why the dog turned on its owner, Rachman has no idea. "The way he attacked her, that's the way animals kill," he said. "His intention was to kill her." On Friday, WFMZ also spoke with Rachman. Just before firing on the dog, he said the dog actually "started to lick the blood off her face" and head. "Then he nuzzled his nose, flipped her head up, grabbed her by the throat and then thrashed around," Rachman said. That's when Rachman, standing below the victim, shot the dog in the leg. 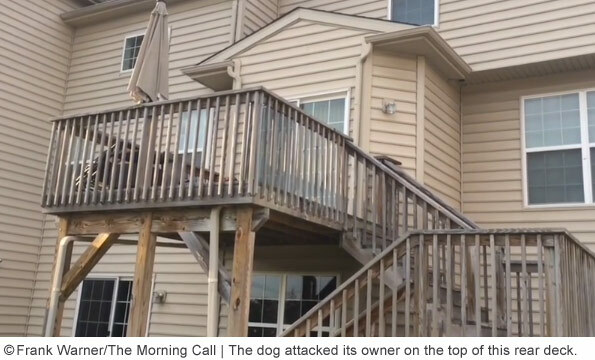 In addition to attacking the husky two years ago, WFMZ learned that a man's grandson was bitten in the face by the same dog several years ago. Upper Macungie Township, PA - A woman was fatally mauled by her dog Thursday afternoon in Upper Macungie, according to police chief Edgardo Colon. Police were dispatched at 1:30 pm after a report of a woman being attacked by a dog in her home on Spring White Drive. Responding officers found the dog attacking the woman on the rear deck of her home, Colon said. Police officers secured the dog then assisted the woman, who suffered extensive injuries in the attack. Police contacted state dog warden Orlando Aguirre. The warden arrived with members of the Lehigh County Humane Society to tranquilize the dog, reports The Morning Call. Aguirre told police the dog is a 3-year old male pit bull-boxer mix. The dog will be transported to the humane society, where it will be euthanized and "tested to determine what caused the attack." reports The Call. It is unknown what form of "test" will be conducted on the animal, behavior or otherwise. The Call later interviewed neighbor, Vidya Chellapilla, who witnessed part of the deadly attack. Neighbors first tried to stop the attack by using a piece of wood, which the dog broke with its jaws. Then they called on neighbor David Rachman, who is the Slatington police chief. Rachman rushed over with his gun. He shot the animal several times, striking it in the leg. The victim is described as only being in her 30s. Police have not released her name pending notification of family members. At that time she had already fallen. We don't know exactly how. Did the dog bite her? We don't know exactly, but she has fallen. Then we see the dog started biting on her neck, started removing pieces from her neck. We didn't go there, because the dog looks really wild at that time. We all are seeing from here. They immediately ran, they called the cop opposite to the house. We have a cop, so I called him. He came immediately. He started shooting. He hit it twice. He shot the dog. Maybe the bullet went to the dog's leg. Immediately the dog is shouting and it sits next to the staircase. The dog mauling victim has been identified at 32-year old Lisa Green. 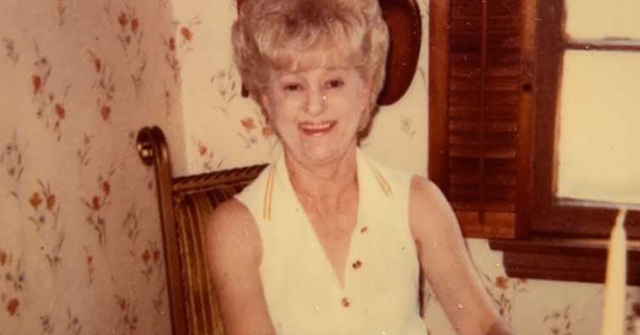 The person who tried to stop the attack by jabbing the dog with a 2-by-1 has been identified as Loretta Ottinger, Green's next-door neighbor. Another neighbor, off-duty Slatington police chief David Rachman, fired his gun twice, striking the dog at least once ending the attack. Ottinger said Green had owned the dog, named Leon, for about two-and-a-half years. Officials tranquilized the dog at the scene. In a later update, The Call published more details by Ottinger. She hit the dog with a hambone before trying to jab the dog, hoping to drive the dog's attention away from Green. "I thought if Lisa could get free and roll over, the dog would be off her jugular. But he ignored the ham. He was just picking her up and throwing her down," Ottinger said. Then she got a piece of wood and shoved it through the deck slats at the dog. The dog made quick work of that by snapping the board in two. Ottinger also stated that Green's dog was a pit bull, as opposed to a "mix" variety. "It was a pit bull. They're pretty strong dogs," she said. Even after witnessing the horrible attack and seeing Green lying motionless in the bloody aftermath, Ottinger hoped she might survive. But that was not the case after Green's pit bull of two-and-a-half years suddenly attacked and executed the killing bite. "I love dogs," Ottinger told The Call, "but wow, I just don't know why anyone would get a pit bull." View the DogsBite.org Google State Map: Pennsylvania Fatal Pit Bull Attacks. Well, at least it was the adult owner this time. 'Tested to see what went wrong' duh! It's a pit bull, that's what went wrong. I am still reeling from Maurice Brown's fatal attack. I'm with you, Dayna, at least it was the adult owner of the dog this time. Again, why the hell do people own those things? It's nuts. Pit bulls have MURDERED two grown adults this WEEK, but they're just "misunderstood" and have been "unfairly demonized". I'd say their awful reputation is pretty damn accurate. For the person wondering if the dog was intact or not, it doesn't matter. This person that was murdered by this pit bull bought into the lie that the breed is like other types of dogs. They are dead because they were attacked by a pit bull not because the dog had gonads. It's sad whenever this happens, but I am relived that it was only the owner who was attacked and no one else. These dogs need to be extinct. There is no reason to keep these kinds of animals in among human life for any reason. The dog bit a child in the face and attacked another dog in the past. The dog should have been put down already. What was this woman thinking? 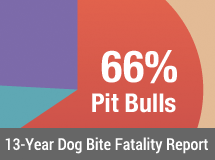 If l was the parent of the bitten child or the owner of the dog that had been attacked, I would have sued the pit bull owner into the ground. Whenever an attack happens, a lawsuit should follow. Boxer mix?!? Hate false reporting. Poor woman but I'm glad it wasn't another child's life stolen. The mistake of owning a Pitbull has such tragic consequences.